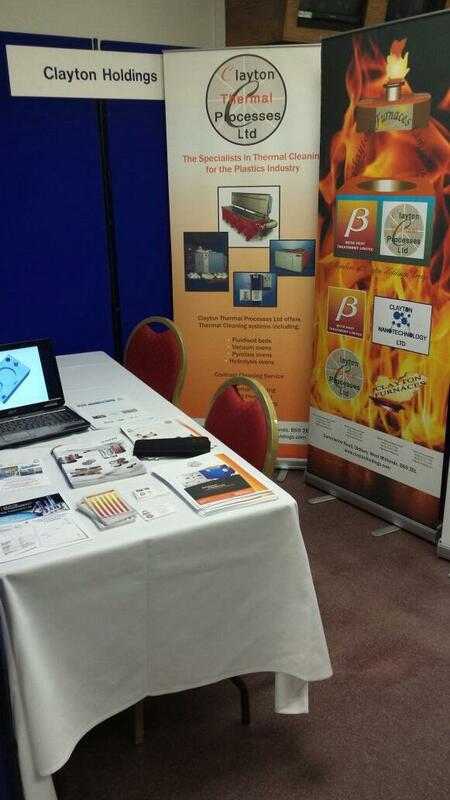 Beta & CTP at MIM Exhibition 2014! Beta Heat Treatment Limited, the largest independent Fluidised Bed Heat Treater and manufacturer of Fluidised Beds in Europe, acts as a sub contractor to all sections of UK industry and provides a "shop window" for the equipment produced by Clayton Thermal Processes Limited. Beta Heat Treatment Limited offer a contract heat treatment service which is approved to ISO 9001 standard. Components up to 1700mm long, 750mm dia and 2000 kgs in weight are treated up to a maximum temperature of 1100 0C. Beta Heat Treatment has provided a fast, reliable, quality service to the engineering industry since the start of production in March 1989. Beta, the first successful company to use fluidised bed furnaces, is now Europe's largest independent Fluidised Bed sub contractor and was one of the first Heat Treaters to achieve BS ISO 9001 standard in 2003. Through advanced monitoring and control, Beta offer high quality, repeatable results. Temperature can be controlled throughout the fluidised bed furnace to ±2 degrees C - a standard others find hard to equal. Gas flow control, essential to successful nitriding, is an inherent part of the fluidisation process, thus ensuring optimum results every time. The Fluidised Bed is now accepted as the most effective medium for heat treatment, giving uniform heating with close temperature control, irrespective of the component shape or mass. Fluidised bed heat treatment produces work which is clean, even in the deepest holes or recesses and completely free of any toxic material. Those subsequently handling the treated parts can be assured that there are no health hazards associated with fluidised bed heat treatment. Fast turn round is vital to most manufacturers and with fluidised bed nitriding Beta offer diffusion rates of .001"/hour - or better in some circumstances. Gone are the days of 30 or 40 hour processes for most applications. Beta provide maximum results in minimum times. For over twenty five years Beta has served most of the major engineering groups with fast, clean fluidised bed nitriding which gives extended service life to tools and dies. No other nitriding process can match fluidised bed for quality, speed and finish. We have approval to the ISO 9001:2008 standard. Age hardening of various metals both ferrous and non ferrous in inert atmosphere or air. Full, sub critical annealing can be carried out in an inert atmosphere for bright annealing or in air where surface finishes are not of prime importance. Treatment in air in inert atmosphere to effect by precipitation a hardening process. Alloys can be treated at a suitable temperature, held at a required time in an inert atmosphere , and quenched rapidly enough to effect a solution heat treatment. Stress relieving can be processed in an inert atmosphere or in air. Looking forward to @madeinthemids exhibition tomorrow, the event has grown somewhat in past few years!